This is the UK’s third longest running music quiz. Accept no imitations, come and see for yourself. It’s a must for real music fans who like a well researched, well presented professional music quiz with original ideas. It’s the only one of its kind in St.Albans. It’s the REAL quiz of the week, accept no local imitations. 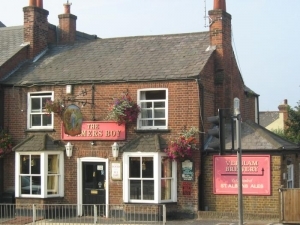 It’s at the Farmer’s Boy on London Road from 9pm onwards and are busy most weeks, so get in early to get a space. Each week a team will choose a featured artist and one round will feature ten songs by that act. The first, original and best loved quiz in St. Albans so come and enjoy the challenge! Music, as always, covers the 1950s – 2010s so there is something for everyone. So come along and join in the fun and give yourself a challenge. Starts at 9pm and costs just £3.00 per person to enter. There is a guaranteed £15 cash prize to be won + a drinks voucher to the value of £10 for ending up in a pre-picked position.